British law enforcement officials say they’re doing their best to cope with the possibility that the U.K. will crash out of the EU in 45 days. 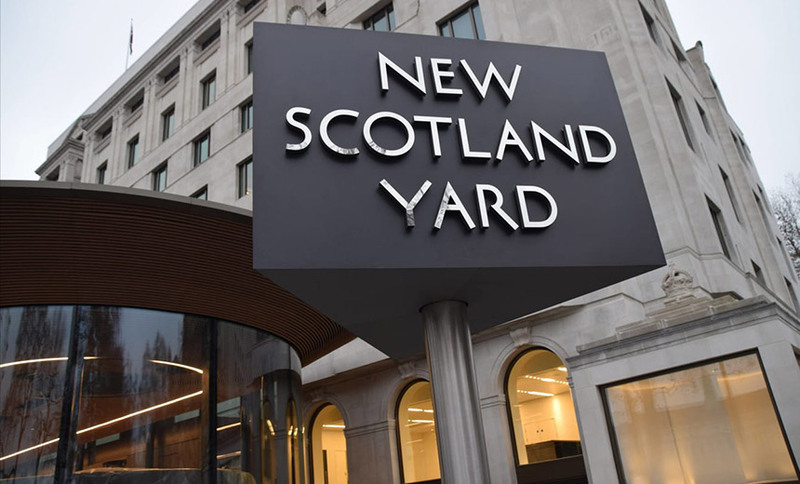 Police officers will be able to use Britain’s new International Crime Coordination Center, a national unit that authorities on Monday said has become fully operational. But policing chiefs warn that the center will not be as effective as the existing arrangements that the U.K. enjoys as a member of the European Union, including access to the EU’s law enforcement intelligence agency, Europol. “We have been working closely with the Home Office to prepare for all eventualities including losing access to current EU law enforcement tools. We have contingencies in place for each of the EU tools but they are not like-for-like replacements and will not be as efficient or effective as the tools we currently use,” says Deputy Assistant Commissioner Richard Martin, the London Metropolitan Police’s chief lead on international policing. To help cope, the IPCC was launched in September 2018 with £2 million ($2.6 million) in funding from the Home Office. It’s been tasked with creating the very British-sounding “alternative mechanisms” that the country will require when it leaves the EU, losing access to such crime-fighting tools as the European Arrest Warrant. Plans for the ICCC call for it to have about 50 police and civilian employees drawn from the National Crime Agency – the U.K.’s sister domestic law enforcement agency to the FBI – and national Criminal Records Office. A spokesman for the National Police Chiefs’ Council, which coordinates national police operations, tells Information Security Media Group that the center is now fully staffed and continues to train officers to help on a local level. “The network of officers will be fully ready by the end of this month or start of next month – though many already are,” he says. The original plans for the office were drawn up with a “hard Brexit” in mind, in which the U.K. would leave the single market and the customs union via a 21-month transition. During that time, the country would, in theory, negotiate new agreements, potentially including the ability to access some existing police resources, albeit likely in a reduced capacity (see: Brexit: What’s Next for Privacy, Policing, Surveillance?). Last month, however, after two years of negotiations, including British threats to cancel security arrangements unless the EU gave it what it wanted, the House of Commons rejected by a historic margin Conservative Party Prime Minister Theresa May’s deal with the EU. If no deal is in place on March 29, “the U.K. would leave the EU and everything associated with that would come to an end,” Simon Usherwood, a reader in politics at the University of Surrey, told i news. “[No deal] doesn’t stop the U.K. leaving but it means there is absolutely no clarity about what happens,” he said. May this week has returned to Brussels to continue the Brexit negotiations, demanding that the EU put a time limit, or “backstop,” on a transition arrangement that would avoid a hard border between the Republic of Ireland and Northern Ireland. But the EU’s chief negotiator, Michael Barnier, says the EU will not renegotiate piecemeal the agreement and political declaration that has already been made, and he said that something must give on the U.K. side. Meanwhile, Brexit remains scheduled to occur on March 29, whether or not May’s government secures a deal that passes Parliament’s muster. In the event of no deal, the EU will fall back onto existing Interpol arrangements, which are manual and would lead to a dramatic change in the speed of information access. For example, running criminal background checks on foreign nationals – to see if they have committed crimes in other countries – would jump from six days to an estimated 66 days. European Criminal Records Information System: ECRIS enables EU member states to exchange criminal conviction information. “Currently criminal record checks with member states take six days on average, whereas the average outside the EU is 66 days,” according to the Met. Europol: The U.K. currently works closely with the other 27 EU member states via the EU’s law enforcement intelligence agency, Europol, as well as its European Cybercrime Center, or EC3. Europol has coordinated a number of operations, including those related to cybercrime gangs and disruptions, and has notched up some impressive arrests in its relatively short existence. In 2017, the U.K. shared more than 47,000 messages with Europol and helped support over 130 investigation teams. Martin has said that 70 percent of “transient organized crime groups” operate in three or more countries. But post-Brexit, cross-border policing operations would also be interrupted or operate at reduced capacity (see: Police Arrest €10 Million IOTA Cryptocurrency Theft Suspect).